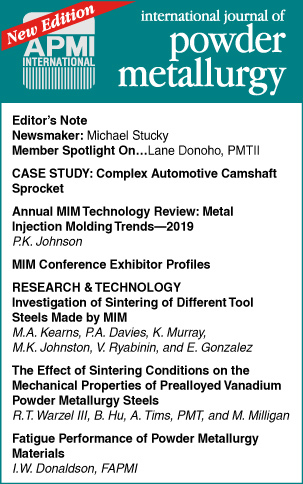 The International Journal of Powder Metallurgy is published four times a year, bringing you the latest news in the powder metallurgy (PM) and particulate materials industries. Want to read the Journal online? Access the Members Only Area now!